While bedroom counts may be the same in some non-luxury homes the bedrooms in luxury homes are generally larger and in many luxury home each bedroom will have its own bathroom as well as large closet space. The master bedroom in luxury homes generally will have extra space for a sitting/reading area, large closet space, jetted tubs, and bathrooms with premium fixtures and materials. Depending on location luxury homes may have 3 or more car garages, and separate buildings for a pool house, guest quarters, recreation or more. Location of the luxury home dictates what type of extra features may be found. A luxury home inside a city may not have the space for extra garages, pools and more, but luxury homes in more suburban areas should have plenty of space for those extra features. Luxury homes will have the latest and greatest in features like smart home technology, highly efficiency/green heating and cooling systems, water efficient landscaping and more. The process of finding a luxury home that is the perfect fit can be a challenge. With choices of location impacting taxes, schools, drive time and more it is best to take time to research the different communities that have luxury homes available and to be sure to explore those neighborhoods both online and offline by walking/driving the neighborhoods. Some areas may have higher density luxury homes available but if a homebuyer is looking for some land to add a pool, tennis court and other amenities then a denser neighborhood would not be the right choice for that buyer. Location impacts taxes as well where certain municipalities may have higher property taxes, others may have their own income taxes or there will be a combination of the two. Depending on the community the taxes can be used to provide a higher level of services to citizens through extra police and firefighters or other services. So thorough research of the cities where the luxury homes are available is a smart step to truly find out what the cost of living will be in those areas and what extra amenities those communities might provide to home owners with the taxes they collect. For example the village of Indian Hill, Ohio (a luxury home community) offers such services as their own police force with 24 hour alarm monitoring service, trash removal service that removes the trash from right outside of your garage, local parks, its own school district and more. Location can impact drive times as well. If a homeowner will have a regular schedule then the drive time during peak rush hour times should be taken into account as it can affect the quality of life if the drive time is too long. For small business owners and medical professionals who work at different times of the day the drive time is equally important. While rush hour may be hectic getting in and out of the community, off peak times can also be a challenge where communities purposely restrict roads to two lanes and keep reduced speed limits in order to minimize the traffic passing through the area. Work with a great Realtor who specializes in luxury home purchases and sales to help find the right luxury home for you. 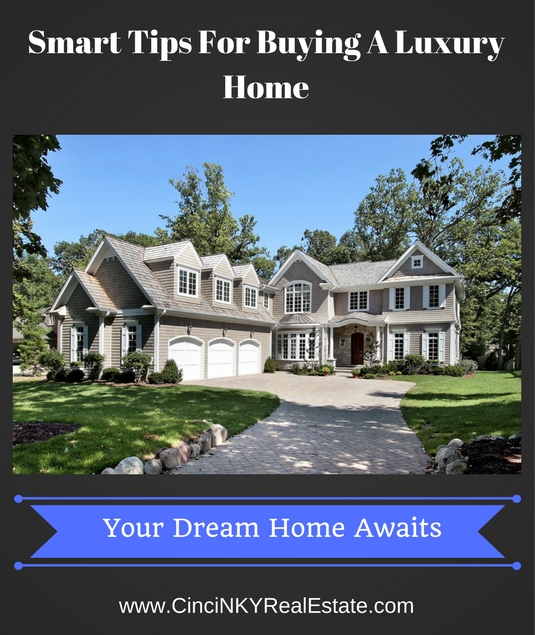 Realtors who know the local areas where luxury homes are located and are familiar with the features, services and tax rates of those communities will be your perfect guide to not only help you find homes but to get you into those homes and provide information about the process of buying a luxury home. Your Realtors will help with setting showing appointments, offering their expert input on questions about the home purchase process, preparing the offer, negotiating on behalf of the buyer, arranging for inspections and more. Under the law the Realtor who works solely with buyer is there to represent the buyer’s best interests to help them buy the luxury home of their dreams. If a luxury home will be purchased with a mortgage then getting a preapproval for the mortgage is always the best course of action prior to starting the home shopping process. A preapproval letter may be required from luxury home sellers as a condition of allowing the viewing of their home and in most cases will be required as part of submitting an offer to purchase a home. By working with a loan officer ahead of time the various types of mortgage loan options available to purchase a luxury home can be fully explored so that the right loan product is available to the homebuyer. Depending on what amount you will want to borrow to purchase your luxury home you may end up needing a Jumbo Mortgage Loan. 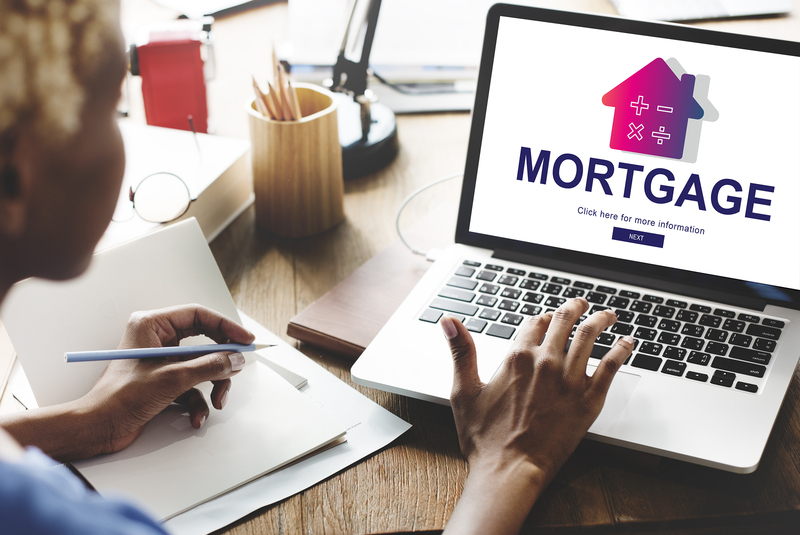 Borrowing above the conforming limit of $417,000.00 in the Greater Cincinnati area (Ohio, Kentucky, Indiana) requires the use of a jumbo mortgage loan. Some high cost of living counties around the United States have a different limit for their conforming loans so check with your local mortgage loan officer to see what applies in your area. A jumbo loan is different in that the government sponsored mortgage entities will not purchase these loans so the banks or investors must keep them on their books. While a jumbo loan is no better or worse than a conventional loan, due to the fact that banks must keep them on their books, (banks can sell them to other banks) banks usually require more stringent lending criteria in terms of credit rating, borrower asset profile, and down payment requirements. Interest rates for jumbo loans are marginally higher (0.5 – 1%) than what would be for a conventional loan. You have found the home of your dreams and in order to prevent it from turning into a nightmare it is wise to get it inspected before closing on the home. A home inspector will go over various aspects of the home and give you a report as to the condition of the home and its systems. Since your home is a purchase involving a large sum of money and you will be living in that home for some time to come it is best to have it inspected not only to know about what repairs may be needed or what issues may exist but also to get a full report on all the visible areas of your home. A good home inspector not only inspects your home for issues but will also provide a report that gives estimated life spans for the various components of your home and should provide some best practices to ensure longevity of your home. Some savvy luxury home sellers may opt for a home inspection prior to listing their home for sale and will have repaired any major issues brought up by the home inspection. The sellers may even share with potential buyers their home inspection and the repairs done but that does necessarily mean you should forgo your own home inspection. Certain issues or conditions could have developed after the home inspection and repairs were made or new issues can be discovered. For the small amount of money it costs to pay a home inspector to inspect your home relative to the home purchase the peace of mind makes it worth it. Buying a luxury home for you and your family represents a long term investment that one should undertake with full knowledge of everything involved. Getting a mortgage pre-approval for buying your luxury home will ensure when the right luxury home is found an offer can be made without any delay. Be sure to work with a local professional Realtor who brings their knowledge of the market to help you in your purchase of a luxury home. My husband and I have always wanted to buy a luxury home together, but we've never done something like this before and could use some advice. Your article had some great tips for people like us, and I liked how you said to hire a inspector to look at a potential home that will not only inspect the home for issues, but will also provide a report that gives an estimated life span of the house. Thanks; we'll keep this in mind when shopping for our first luxury home together.